A wood deck floor is just a wood deck floor until you checkerboard it out! Isn't this amazing? Nicki lucked out and landed an extra can of paint left over from the last owners of her home. She pressure washed the deck, then got to work. Taping and painting one square at a time, she pressed on. It wasn't a terribly quick job, so be forewarned, you'll need a good long day and a nice soft bed later. But... what a difference! Style, baby. It's all about the look. How is it possible just a little bit of paint is able to make such a huge impact? 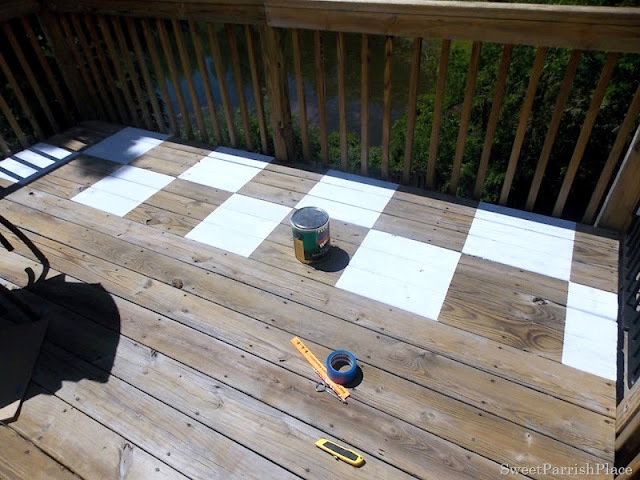 I'd love to do this on my vinyl deck with black squares! I wonder... it's just a very fun, upscale look that morphs a plain deck into a total head turner. 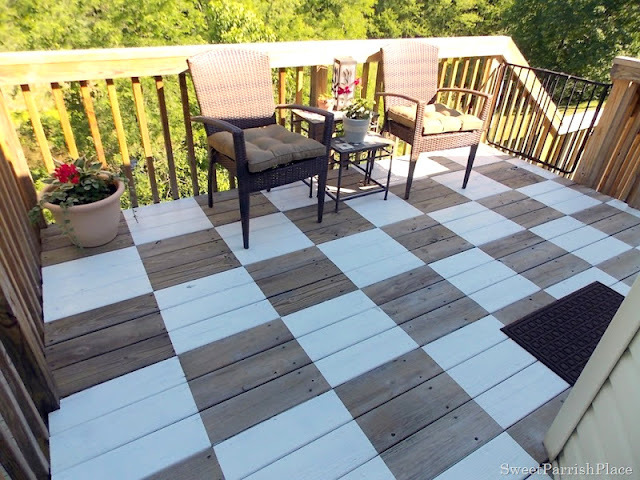 Thanks you so much for the awesome feature on my painted deck! You have no idea how excited I was to see this! Awesome!